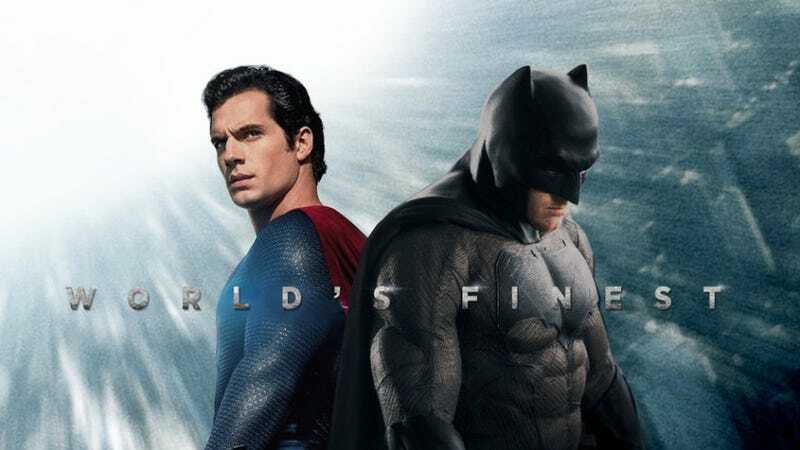 Batman v Superman: Dawn of Justice cleaned (some of the) house at this year’s Razzies, winning four awards and making us all a little more afraid that Ben Affleck really will end up dropping out of The Batman altogether. The Golden Raspberry Awards, which happen the day before the Oscars, celebrate the worst and most ridiculous films of the year. While the event’s top honors (like Worst Picture and Director) went to Hillary’s America: The Secret History of the Democratic Party, Batman v Superman tied for number of awards received. It won for Worst Screenplay and Worst Prequel, Remake, Rip-Off or Sequel. Dinesh D’Souza, the guy behind Hillary’s America, spared Affleck and Henry Cavill the humiliation of one of them getting Worst Actor, but they did share the honor of Worst Screen Duo. Jesse Eisenberg also took the prize for Worst Supporting Actor. This latest awards ceremony has a bit of an extra knife-twist for Affleck, who was the first recipient of the Razzie Redeemer Award, which goes to previous Razzie recipients who’ve since bounced back in their careers. This year’s went to Mel Gibson, who’s currently being courted to direct the Suicide Squad sequel. It’s clear that Affleck is getting fed up with how Batman v Superman was received, and it’s affected his feelings toward the Batman solo movie. (He’s been pretty tame about praising Justice League too, which is a bit of a red flag.) Affleck is no longer helming the film, and Matt Reeves has stepped in to take the director’s chair. This should’ve settled the issue, but there are lingering rumors Affleck wants out altogether. I’m sure Affleck doesn’t care much that there’s a little golden raspberry waiting for him, but it certainly won’t make him feel better about staying on as Batfleck.